Ok, let's dive head first into ROME! Wonderful to be back in this city. I was here about nine years ago (lord...) with my sister and it was a pretty great trip. Obviously, not much had changed, and it was pretty mad to be there just for a day and run around taking in the sights. 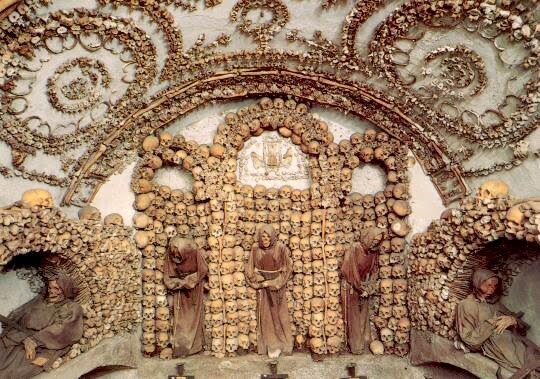 First pics are net grabs of the Capuchin Crypt. The crypt is entirely decorated with the bones of monks. It's one of those things you have to see to believe. 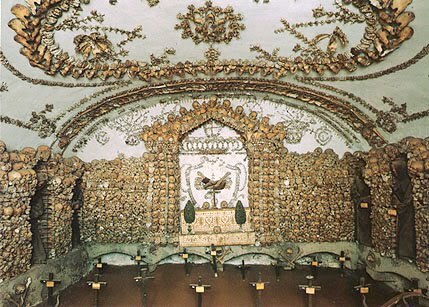 They've used every bone to make floral patterns on the walls and ceilings and the result is pretty stunning. There are six rooms that in total use the bones from over 4000 monks. 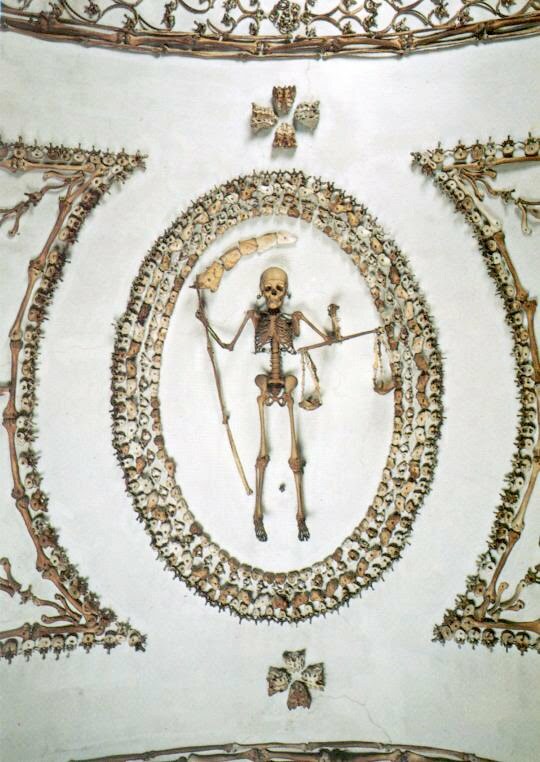 There's a plaque in the final room announcing 'what you are now, we use to be; what we are now you will be...'. Yeah... a little creepy. It's a funny little place that wasn't even marked on my guidebook (bad Knopf, bad!) but it was the highlight of the day. After the bones we went to cleanse by the Trevi fountain. Although this time I didn't make a wish - I decided I really had everything a girl could ever ask for, and no need to risk it all by being greedy. And look, we're at the Spanish steps! 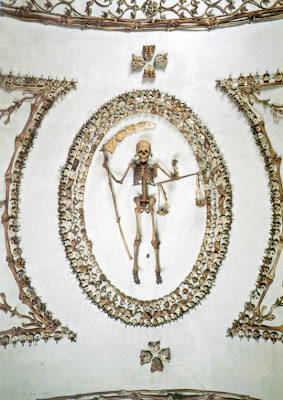 Or, 'Scalinata della Trinità dei Monti' if you're Italian. But I could't see Audrey anywhere...shame. We swung by the Pantheon, and then were taken to a café a stone's throw away from the Pantheon which is reputed to be the best in Rome! ha! It's called 'Sant Eustachio il Caffe' and I had a very good, rather strong espresso. I quite liked the stag in the floor tile work. Coffee drunk, cups down, and time to jump on a bus! Time was up then, and we jumped back on a train to make to the ship. Tomorrow...Lucca.